Not if you are only browsing the site. If you make a purchase, an account will automatically be created for you during the checkout process using your e-mail address. As a security precaution, after ordering you will receive an e-mail informing you that your account is set up. This e-mail will contain a link that will remain active for a single use, for you to change the randomly generated password. To change your password: Log in, click on My Account, then click on the edit tab and follow the instructions. If you forget your password: Click on the “login” link on the top right of the home page and then click “Forgot password.” You will then be prompted for your e-mail address and instructions to reset your password. Your credit card will be charged immediately upon clicking the order confirmation button. All purchases transacted at ieas.directfrompublisher.com will appear on your bank statement as “Sheridan Books”. In accordance with applicable law, we collect tax in all states, when appropriate. Sales tax is applied to the total amount of the order (excluding any shipping charges) and is based on the shipping address. Electronic deliverables are considered to be “shipped” to the billing address. Many states do not require tax be paid on digital products such as e-books. Can I buy chapters of a book? Yes. Chapter-by-chapter PDF e-book purchases are available for select multi-contributor volumes. We do not provide refunds for digital content (unless files arrive corrupted). Our print books are sold on a non-returnable basis, except in the case of physical defects. If you need assistance with your purchase or would like to return defective printed materials, please use the Contact Us form accessible by clicking the “Contact” link found on the upper left of every page. What if I need technical or other support? Please use the Contact Us form for all questions. It is accessible by clicking the “Contact” link found on the upper left of every page. A representative will respond as soon as possible (usually within 2 business days). How can I be notified about new publications? What is your estimated delivery time for print books.? We strive to fill all orders within a week of receipt. Depending on whether you request FedEx shipping or Media Mail (available only within the United States), your books should arrive within 1 and 4 weeks of ordering. How are your print books made? Our books are printed using offset lithography on acid-free paper. Recent books are sewn in signatures. Our hard-copy books are not digitally printed on demand. 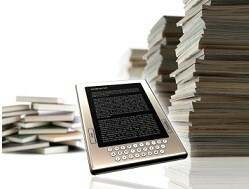 The term e-book refers to an electronic version of a printed book. All e-books published by IEAS are PDFs and can be read on personal computers and mobile devices using Adobe Reader (click here for free download) or any other PDF reader. Our PDF e-books have a fixed layout that preserves the image of the printed book. This maintains the original pagination so scholars can locate and cite passages with accuracy and ease. All our e-books are fully searchable, including Chinese-Japanese-Korean (CJK) characters. They are also internally bookmarked and linked, so users can jump from the Table of Contents and Index to the appropriate chapter or page. How is the PDF e-book delivered? Can I download my e-book? After purchase, you will receive a confirmation e-mail with a link to access and download your e-book. You can also access or download your e-book from “My eLibrary,” found on your account page. My eLibrary is a web portal that allows you to access, read, and download your e-book purchases. You can access My eLibrary through your account page. Can I read my e-books offline? Yes. All our PDF titles are free of DRM (Digital Rights Management) protective software and may be downloaded and read offline on your personal computer or mobile device. Will you be adding more e-book formats? We currently have no plans to sell our books in other e-book formats. We are providing e-books only as PDFs, because PDF has the widest range of compatibility across reader platforms. May I share my PDF e-books? E-books and e-book chapters are sold on a single-user basis and may not be freely circulated. If you are an instructor, please use the Contact Us form for classroom discount codes. The Institute of East Asian Studies is pleased to send a complimentary desk copy of any of our titles required for a class with expected enrollment of at least 10 students. We limit the number of complimentary copies to one per instructor, per academic year. PDF e-books are delivered immediately upon ordering; softcover books take 4 weeks for delivery by domestic media mail. The Institute of East Asian Studies is pleased to send a complimentary exam copy of any of our titles under consideration as a required text for classes with expected enrollment of at least 10 students. We reserve the right to limit the number of complimentary titles sent to instructors. PDF e-books are delivered immediately upon ordering; softcover books take 4 weeks for delivery by domestic media mail. The Institute of East Asian Studies is pleased to send a complimentary review copy of any of our recently published titles to book review editors for possible review in a scholarly journal or other periodical. PDF e-books are delivered immediately upon ordering; softcover books take 4 weeks for delivery by domestic media mail. From January 1, 2016, we encourage all wholesalers to place their orders through this website. For wholesale orders, we have a minimum of 5 printed books (mixed titles OK, but no e-books or bundles allowed), and we offer a 20% discount. Prepayment is now required on all orders. We no longer accept checks, money orders, or wire transfers—sorry for any inconvenience. We ship all wholesale orders (domestic and international) by Federal Express. Collect shipping is no longer available, but wholesale orders will receive a special shipping rate. You should receive your coupon code within 1 to 3 business days. Note: Our printed books are NON-returnable except for physical defects. Slight damage as a result of normal shipping can occur, and should be expected. Thank you. We look forward to filling your orders.